Cameras Downunder Gallery - Bakelite Cameras/Bakelite Baka camera. photo 3. 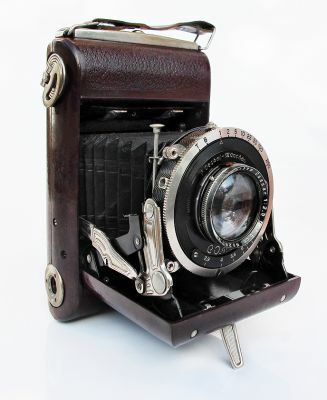 Bakelite Baka camera. photo 3. Burgundy coloured Wirgin Baka Self-Erecting Folding camera, for 2.3/4 x 2" exposures on 620 follfilm. Lens: Cassar 2.9/7.5cm Lens in Compur shutter. Made in Germany ca. 1935.